My name is Linus and I am a designer and researcher. My website is a living document that is under constant change. My experience is in architectural design thinking and strategic management. I use these skills to help organisations speculate future scenarios and make informed decisions to innovate their business. 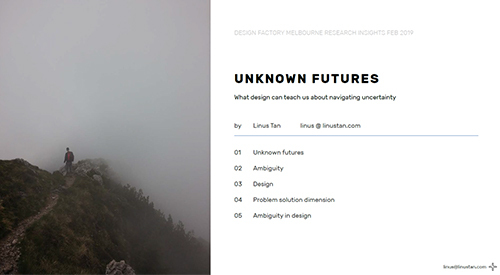 I am also a PhD candidate in Design at Swinburne University of Technology and Design Factory Melbourne. It is undeniable that technologies are replacing our workforces. Labour-intensive roles are gradually being replaced by automated technologies whereas artificial intelligence is endangering roles once thought to be safe from the machines. Without a doubt, the future of work is yet to be set in stone. Perhaps, it will never be. With such uncertainties ahead of us, how can design make us future-ready? 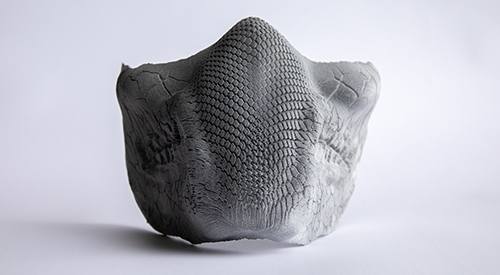 Material Mutations is a 3D Scanning and Printing design studio that Ravi Bessabava and I lead at Swinburne Unviersity of Technology. We run workshops on how to use (mobile) cameras to capture objects and environments as digital models for editing and 3D Printing purposes. We also teach digital modelling and adapting designs for different 3D printers. Can the living replace the non-living? Can the natural replace the artificial? Can structures be grown? Biodigital Futures is the Melbourne node of 2018 The Institute of Advanced Architecture of Catalonia (IaaC) Global Summer School. Led by Canhui Chen and I, we use out-of-the-box thinking to speculate on future solutions for our current environmental issues. 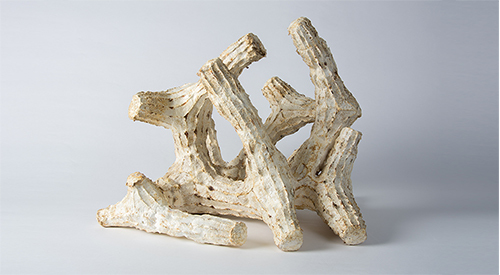 Using biological organisms (mycelium) as a starting point, the participants used digital design and fabrication techniques to prototype a range of biological designs in an attempt to address different types and scales of current environmental issues. 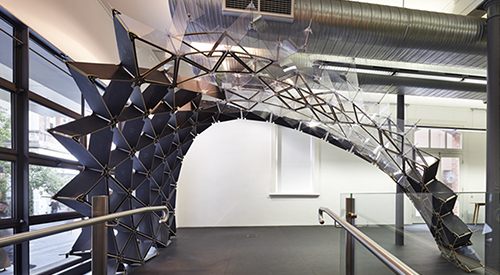 ODASA Pavilion is the outcome of a design-and-build workshop with Dr Tim McGinley and the University of South Australia students for The Office of Design and Architecture SA. In this workshop, the participants tested Agile methodologies with to deliver a small scale architectural design, and were able to design and build simultaneously. This paper proposes that an understanding of ambiguity is needed to harness its capabilities in finding innovative opportunities. 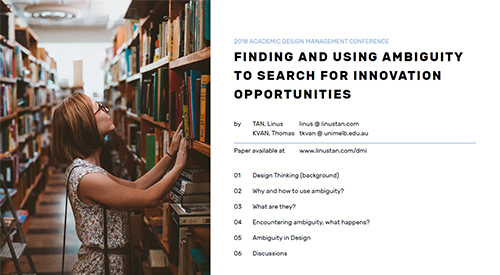 To do so, design practitioners should consider 1) identifying the type of ambiguity needed to expand the scope of opportunity exploration and 2) becoming aware of and managing one’s ability to work with ambiguity. Finally, it identifies the lack of literature on the impact of independent and collective experience on using ambiguity in design. 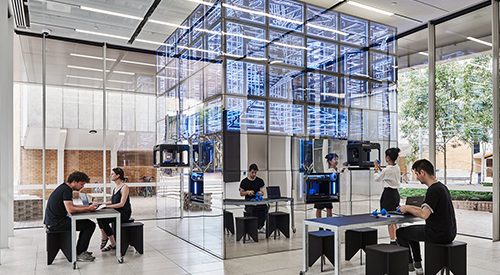 The NExT Lab is home to a cluster of 32 3D printers and offers 3D printing service to the University of Melbourne. The lab acts as a participatory “gallery” for experiencing new technology, provoking larger conversations about the future and technologies part in it. Throughout the day passers-by can observe the bank of 3D printers producing models continuously, along with a digital exhibition of projects on its walls to provide constant visual excitement and attraction. The Tower of Knowledge proposes a theatrical celebration of 100 years of engineering in Australia through the construction and re-construction of a tower structure, moving from form into landscape. 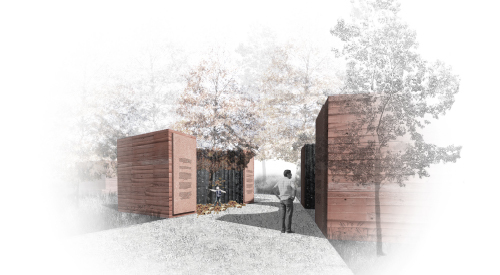 The inverted tower as stage appropriates and occupies existing features of the Arboretum over a curated event encompassing 100 days of scenes and projects which aim to engage the community of engineers in a project of memory and growth. 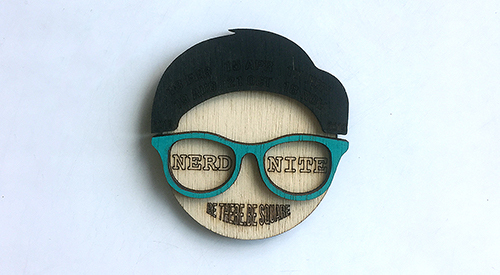 A hand-crafted magnetic badge for the nerd presenters of Nerd Night Melbourne!